Yep, those are green 5×7 1970’s LED matrix displays I had in my junkyard. And this will be The Borg style clock. I don’t like those tiny SMD transistors though. They simply don’t belong here. Nice thing about using matrix displays is that they can display text or graphics, not just numbers. They have no driver, so it’s possible to address any particular pixel. There’s also drawback: it’s tricky to make them work. More effort, more possibilities. More photos here. That’s just a part of driver! 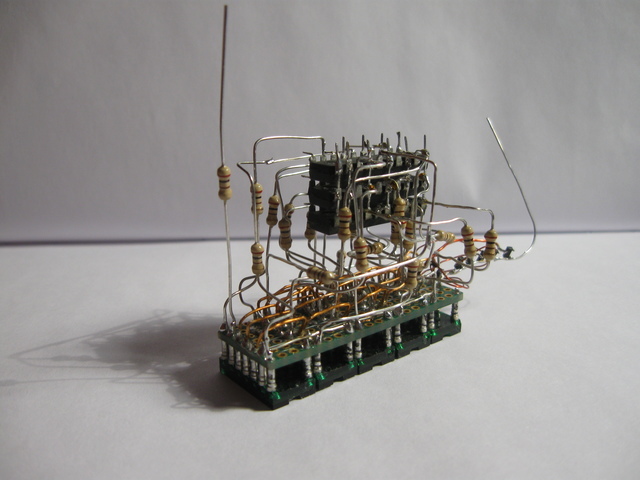 Most part however: three stacked 74ALS373, de-soldered from some old board. 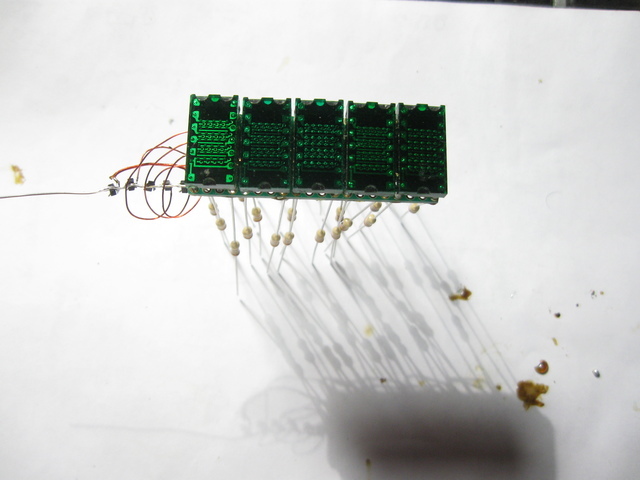 There are 5 segments, 7×5 each, which gives 7×25 LEDs. Cathodes are connected as rows, anodes are columns. 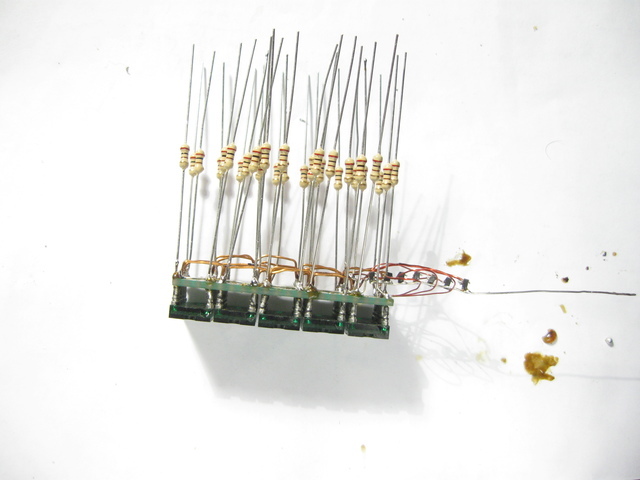 The last left alone resistor is 25th column, left to be connected to microcontroller’s GPIO. Rows will be connected to ground through transistors driven by shift register. Now I’m waiting for replacement transistors. I just hope I didn’t make any mistake there!